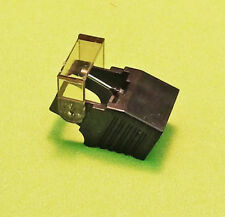 ACUTEX M312 lllST LPM CARTRIDGE Needs New Stylus. Condition is Used. Shipped with USPS First Class Package. HITACHI MT-103, HITACHI MT103, MAGNAVOX 560418, ACUTEX 310, ACUTEX 312, ACUTEX 315, ACUTEX 320. REPLACES THE FOLLOWING NEEDLES: ACUTEX 310IIE, ACUTEX 312/III, ACUTEX 315/III. ACUTEX 320/III, AKAI RS-100, RS100, AKAI RS-120, RS120, ASTATIC N1801, EV PM2890D. It has been tested and both channels produce output. What's included is what is pictured. Acutex 412STR high end cartridge!! New Old Stock!!! Specs are in last pic. The stylus does appear bent but functional. 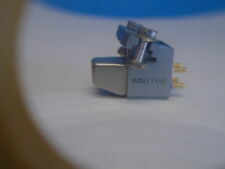 Acutex 415STR high end cartridge!! New Old Stock!!! 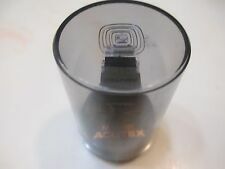 Rare Acutex Headshell. Weight : 7gram. It is Used in good condition and plays properly. I straightened cantilever, sounds perfect. Price reflects service. Body is good, functions well and can be used with 315 stylus as well.